Intelligent road markings and traffic calming measures are easily designed using grip editable road markings. All markings are automatically quantifiable for costing purposes using automatic quantification. 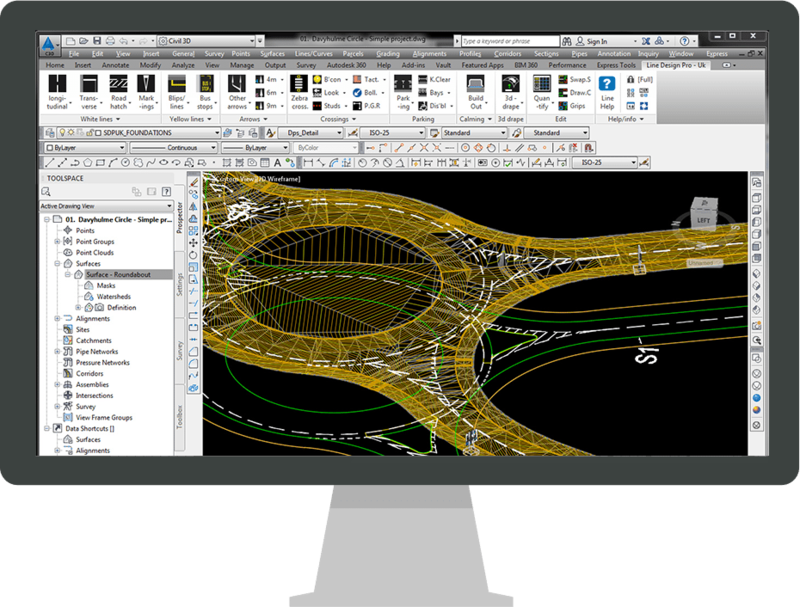 For BIM schemes 3D surface integration in Civil 3D instantly sends your 2D markings to 3D. 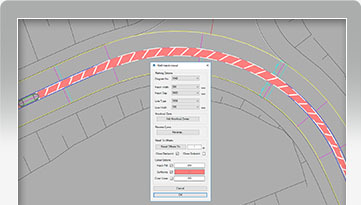 Overview Watch Line Design Pro UK drape 2D road markings over a Civil 3D surface 2D road markings can be draped over a 3D surface with a single button press or individually selected for more precise control. The markings then look as they would in the real world. This is ideal for use in 3D drive views where schemes can be viewed in real time, or used in presentations for public consultation. 2D road markings can be draped over a 3D surface with a single button press or individually selected for more precise control. The markings then look as they would in the real world. Overview 1040 Hatching 1040 series road markings can be designed quickly by simply drawing the outer boundaries by hand or they can be attached to existing polylines to suit a specific pre-defined layout. To edit the hatching after it has been added to the drawing double clicking shows what options are available to the use; Reverse the marking, change the colours, reset the outer lines to a constant width, activate coloured surfacing, add knockout zones for pedestrian islands etc. 1040 series road markings can be designed quickly by simply drawing the outer boundaries by hand or they can be attached to existing polylines to suit a specific pre-defined layout. To edit the hatching after it has been added to the drawing double clicking shows what options are available to the use; Reverse the marking, change the colours, reset the outer lines to a constant width, activate coloured surfacing, add knockout zones for pedestrian islands etc. Overview 3D Surface Integration 2D road markings can be draped over a 3D surface with a single button press or individually selected for more precise control. The resulting 3D road markings can be used inside AutoCAD or they can be used in any other .dwg compatible software. 2D road markings can be draped over a 3D surface with a single button press or individually selected for more precise control. 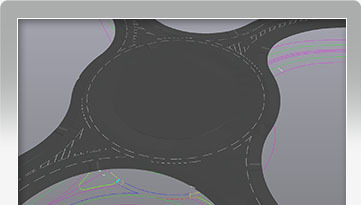 The resulting 3D road markings can be used inside AutoCAD or they can be used in any other .dwg compatible software.